After years spent dreaming of sleeping on a piece of toast with a buttered sheet, designer Sophie Farquhar brought the idea to life with the launch of Bed Toppings–Fun for Sleepyheads. 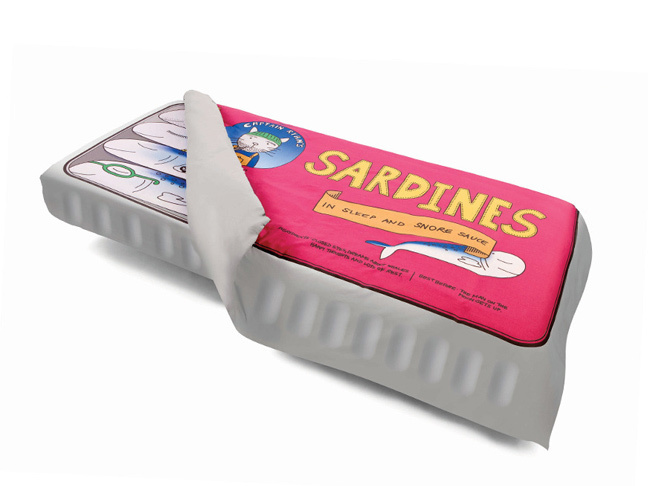 Why sleep on a bed when you can sleep in a sardine can? 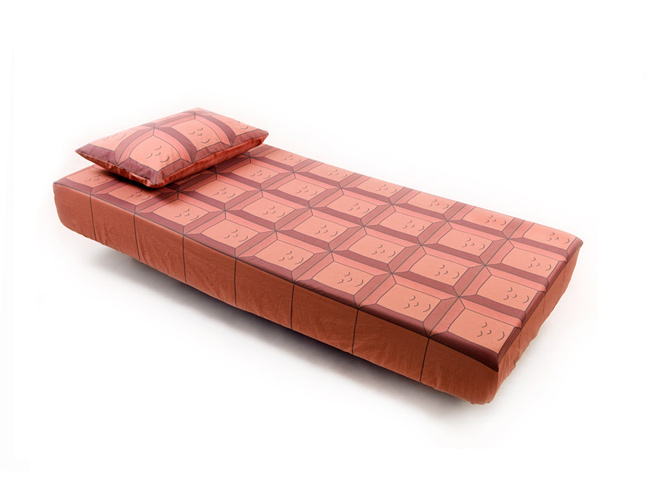 Click below for more inventive bed linens. 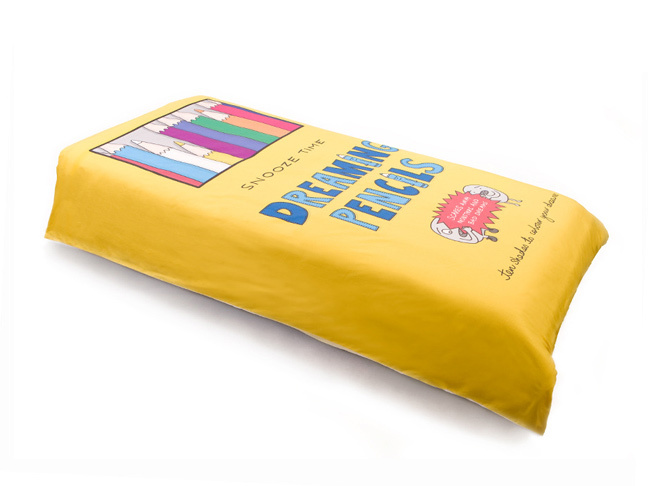 Sleep amongst the colorful pencils and pull the pencil box closed over you. Draw your dreams and you'll remember them forever! 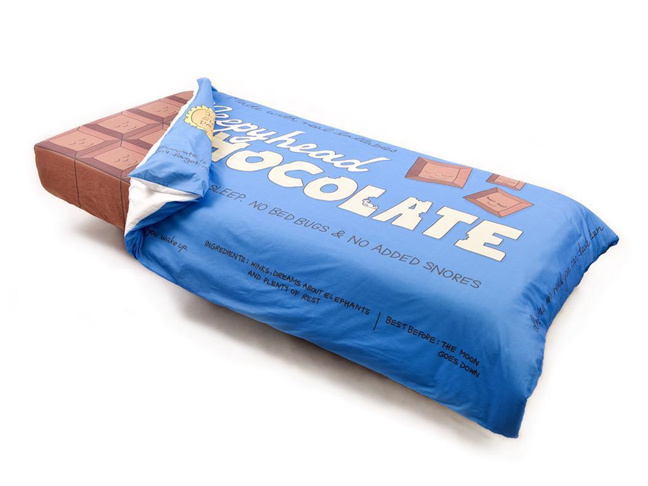 The sweetest dreams are had sleeping inside a giant chocolate bar. Snuggle in amongst the happy sleeping chocolate and pull up your chocolate wrapper! Bed Toppings are sold as a complete set with a duvet cover, flat sheet, fitted sheet and pillowcase, all made with soft 100% cotton. Available for pre-order on the Bed Toppings website!